Found first in Bachmann's 1983 catalog is the Overland 4-8-4 & 52' Tender with Smoke. The model is dressed in two-tone gray Union Pacific with roadnumber 809. The Overland carries a $75 retail according to the '83 catalog. For its initial appearance the model is simply Bachmann's Northern 4-8-4 painted for Union Pacific and is found both on the cover of the catalog and in the Locomotives section. The first time the Vanderbilt style tender makes its first appearance on the Overland in the 1986 catalog's introductory pages, but the same Northern looking example appears later that catalog's Locomotives section. 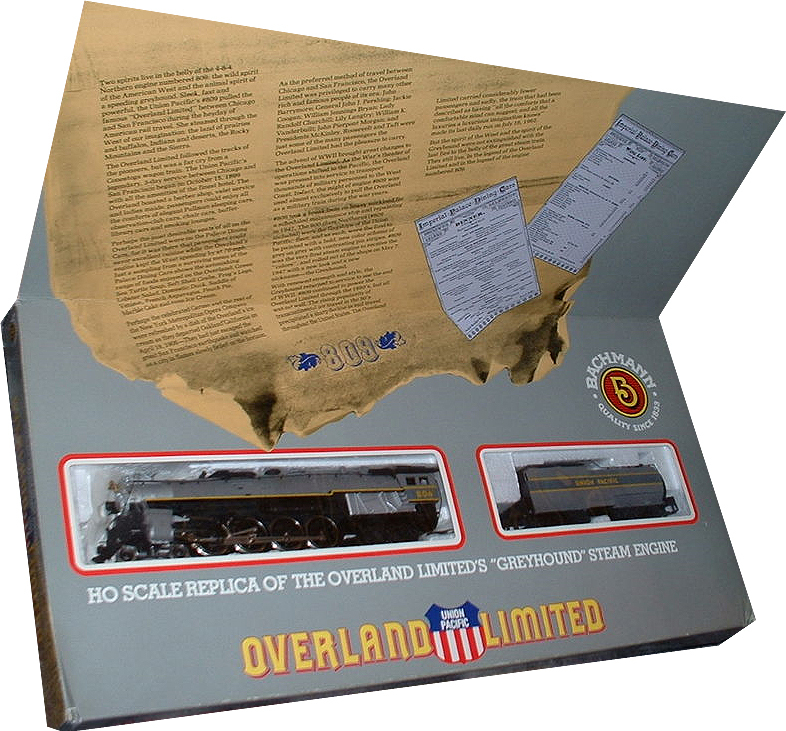 The 1987 Bachmann catalog marks the first time the long running Overland Limited (No.40-0250) train set appears. The Overland 4-8-4 found powering that set is the one with the Vanderbilt tender, but again the Locomotives section continues to show the example with the Northern's tender. This practice continues in Bachmann catalogs through 1989.